It might be a bit early to be naming favorites already, but I'm afraid here's another one. In contrary to this afternoon I couldn't properly focus on watching this show because all I thought with every outfit was 'I want to wear this ASAP!'. So please forgive me for not writing a decent review. Just take a look at the pictures and decide for yourself. 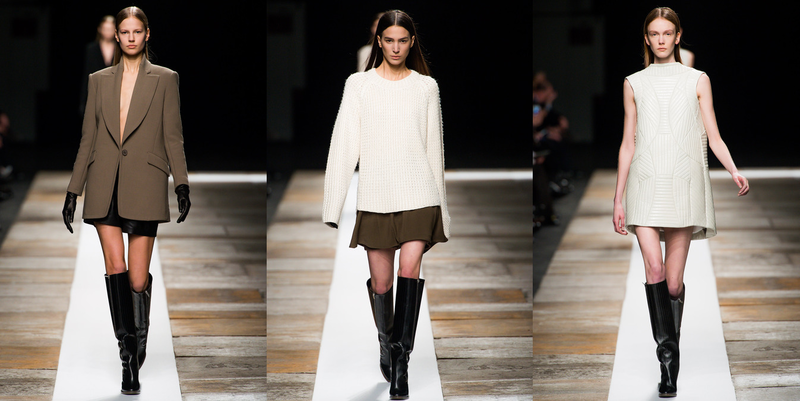 The badass boots, the flimsy skirts, the heavy knits and oversized jackets, the leather shorts and then again: those boots! I'm off to wipe the drool from my laptop.